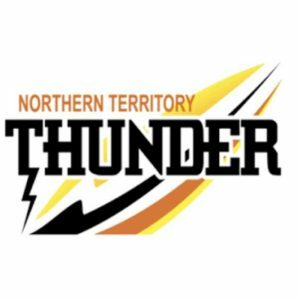 WITH the regular season come and gone, finals time is upon us in the Northern Territory Football League (NTFL) Men’s Premier League. While there already seems to be two form sides across this week’s Elimination and Qualifying finals, nothing is certain as each team puts it all on the line for a chance at ultimate glory. Waratah and Darwin will both be hoping to keep their seasons alive in a high-stakes elimination final to open the 2019 post-season. In what is an immediate rematch of their Round 18 clash, there will be little margin for error for either team as they look to make good on being entrenched in the top five all year. The Warriors will be quietly confident of repeating their Round 18 effort, having downed an out of form Buffs side by a massive 76 points. Darwin’s late-season form has been a worry for a number of weeks leading up to this point, losing its last four games – including bouts against the bottom two teams – to end the home and away fixtures. Coming into the finals with a negative record would be unusual if the competition were not so even, and one would be forgiven for forgetting that Darwin were once considered a top contender this year having beaten Southern Districts twice. On the flip side, Waratah has been a far more consistent figure in the finals race, remaining in the top five from Round 2 to 17 in a season of solidity. With the Buffs defence proving leaky of late, Henry Kerinaiua (seven goals in two games) will be looking to build on a fruitful couple of weeks and two solid outings against Darwin during the regular season. 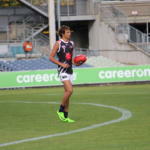 Darwin’s once revered firepower remains a threat too, with the likes of Adam Sambono boasting a four-goal haul against the Warriors, and young star Malcolm Rosas showing flashes of brilliance inside 50. That typical Darwin flair gives them a chance against any side as the Buffaloes have already proven, but the consistency of Waratah usually bodes well for a strong finals output. Either way, Darwin will be keen to bring its A-game and prove Waratah’s big win last time out merely was a one-off. The loser of the day’s other game awaits the winner of this one in the semis, with a chance to progress to the preliminary round up for grabs. Southern Districts and Tiwi do battle on Saturday to determine who will face top side, Nightcliff in the semi finals for a chance to automatically qualify for the big dance. The Bombers snatched third spot from the grasp of Waratah in Round 18, with a resounding 87-point win over St Marys granting them the required percentage advantage. It has been a sensational turnaround for the third-place side after starting the year 0-5, going on to win three-straight games and eventually, four of its last five. While the Crocs have slipped up a couple of times of late, they have not released their grip on a top-two spot since Round 2, losing only to each fellow finals contender (twice against Darwin). The firepower in each attack is what stands out between the two sides, so the respective defences are set to play key roles in deciding the battle. Southern Districts has the edge in both departments given its superior win/loss record, conceding 400 less points overall and also scoring 78 more. 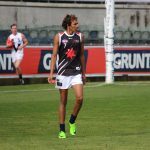 On the day, the likes of Croc livewires Jess Koopman (34 goals, seven against Bombers) and Michael Mummery (26 goals) will hope to outgun Tiwi’s Ross Tungatalum (40 goals, eight against Crocs), who has six hauls of over four goals this year. Nathan Djerrkura has also been a welcome late-edition for Tiwi, boosting the engine room. He faces a battle with fellow ex-AFL listed player, John Butcher as part of an overall midfield battle that should provide some highlights. 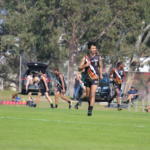 The recent form of Tiwi is hard to ignore, but the collective two seasons the reigning premiers have compiled is nothing to scoff at, and they will be keen to have something to show for it. Expect fireworks here with a whole lot to prove on each end, with either side keen to get one back over Nightcliff next week.